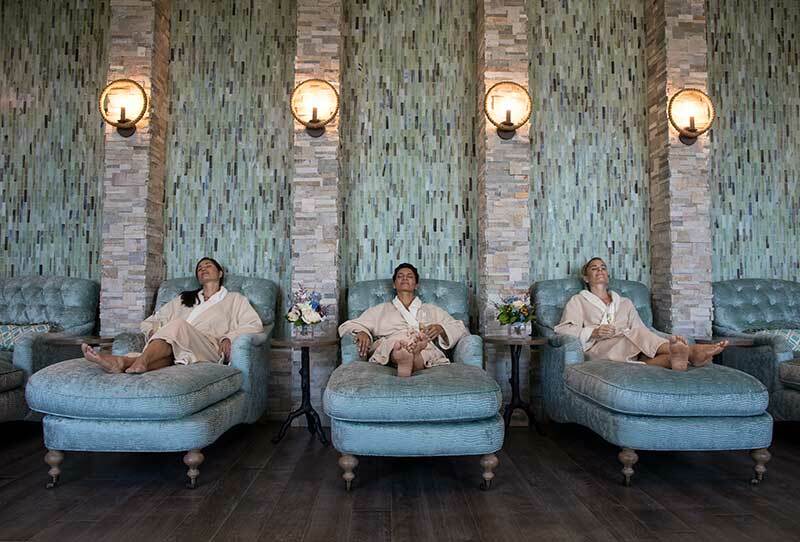 New at the Serenity by the Sea Spa at the Hilton Sandestin is the Serenity HydraFacial, helping ease skin dryness and discoloration, clogged pores, signs of aging and other imperfections. Serenity HydraFacial service exfoliates, cleanses and hydrates skin and pores. Suitable for all skin types, the HydraFacial employs a painless suction to extract impurities, resurface facial skin and supply rejuvenating serums for enduring clarity. With perfect pores and a radiant glow, you’ll feel reborn. The Salamander Spa at the Henderson may be a sanctuary to recharge your body, but staff there know holistic health starts with the mind. Before setting foot in the spa, guests partake in the Intention Ritual, in which vibrations from a Tibetan singing bowl are meant to eliminate negative energy and encourage positive on a journey to rejuvenation. Whether you choose hot-stone or deep-tissue massage, a skin care enhancement or a salon experience, trained professionals supply high-quality treatment and attention. With luxury lounges, 11 different treatment rooms and the soothing aesthetic of local artwork, the scene is set for a day in paradise. Are you looking for an online boutique that lets you shop in part for a good cause? Pensacola local Erika Bell recently opened Pat Pierce, an assortment of vintage attire, accessories and interior designs with contemporary flair. The best part? A portion of your purchase will be donated to your choice of A21, Reach Out and Read or the Ronald McDonald House charities. Recently featured in British Vogue, Maha Loka handcrafted clutches, totes, yoga bags and lip balms are a must-have for the yogi on the go. Available at Otium at 30A, the brand endorses eco-friendly fashion made with recycled materials and the finesse of international artisans. In the spirit of giving back to our world, a share of sales is gifted to our local Alaqua Animal Refuge. Grand Boulevard Sandestin welcomes three new stores to its family of fine dining and shopping experiences. Peter Millar boasts leisure and athletic apparel for both men and women, specializing in golf garb and custom collegiate wear for on and off the green. New Orleans-based brand hemline has been a presence in the South with its summer-chic swimwear, accessories and everyday wear since 1994. Its new home by the sea at Grand Boulevard in Destin features both original pieces and merchandise from more than 50 contemporary designers.